I love that stuff, my family often makes it during summer for a barbecue. 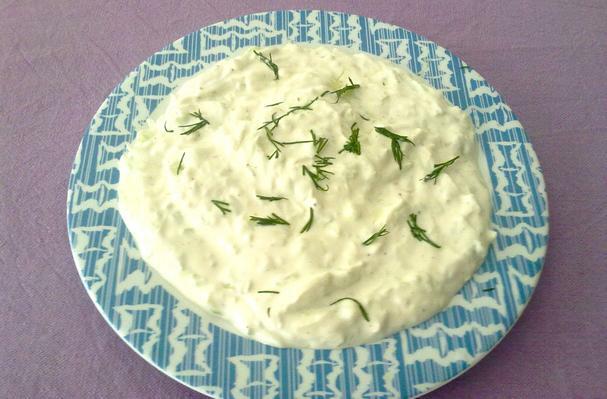 Tzatziki is a Greek dip that is usually eaten with bread or French fried potatoes. It is extremely popular, and it is hard to find a Greek family that doesn't cook it or love it for that matter! Garlic adds spice and it can make your breath smelly, but at the same time tzatziki is refreshing and cool and can be enjoyable even during summer. This is the recipe that I use. It is easy to make, the materials used are pretty common, so you will not have any trouble finding them, and it is a fast recipe. It will take under 30 minutes to make.